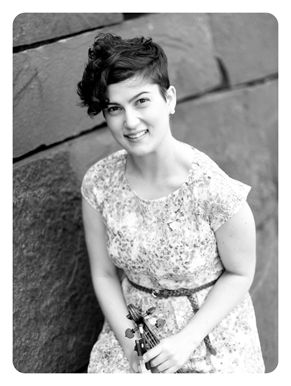 Maya is a freelance violinist and teacher in New York City. She recently graduated from NYU as a Master of Music in 2013 and the Oberlin Conservatory with a Bachelor of Music in 2011. She studied with the renowned performer and pedagogue, Gregory Fulkerson at both institutions. Maya is passionate about opening the dialogue between composers and performers, and she works tirelessly to promote young composers and their music. She regularly performs with Ensemble Moto Perpetuo, Ensemble Mise-En, and andPlay, the violin/viola duo of which she is a co-founder. Maya also enjoys a rich teaching life with students ranging in age from four years old to adult . She teaches at the Brooklyn Music School, the Harmony Program, and in her private studio. Maya lives in Brooklyn where she enjoys reading Jane Austen and baking pies. Every student has a unique and personal learning style. I am constantly working to find a pace in lessons that both challenges and encourages the student. This way, students remain engaged and excited about learning and growing with their instrument with each passing week. I enjoy being part of my students’ musical and personal growth. It is wonderful to see students learn new skills and gain confidence both in the lesson and out in the world. Music is a way for people of all ages to express themselves, and I love being able to help them discover their voice.